Love all the mediterranean flavors that are wrapped into corn tortillas! It is super quick and easy to reheat this marinated ground beef, and it packs a powerful punch with the tortillas and garnishes and cheese! Enjoy! Spoon the Greek infused beef into corn tortillas and top with tomato, cucumber and feta cheese garnishes. 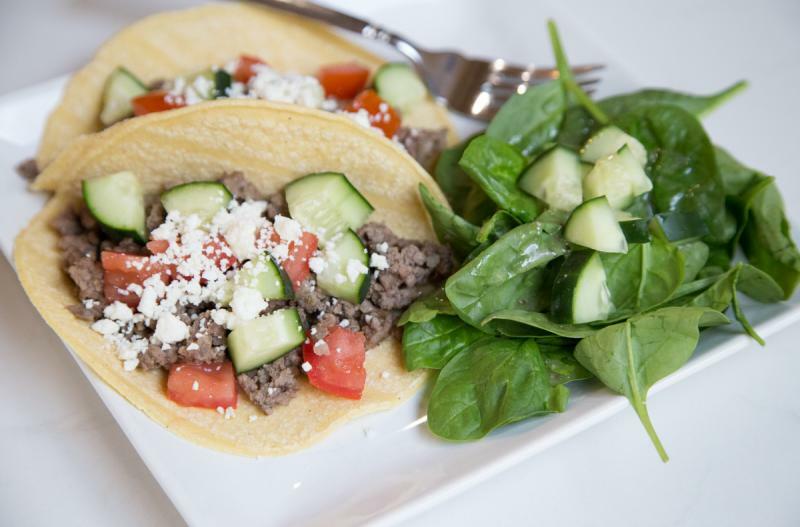 Serve Greek Beef Street Tacos with side salad. Put baggie in the freezer and freeze up to 6 months in fridge freezer or 12 months in a deep freezer. 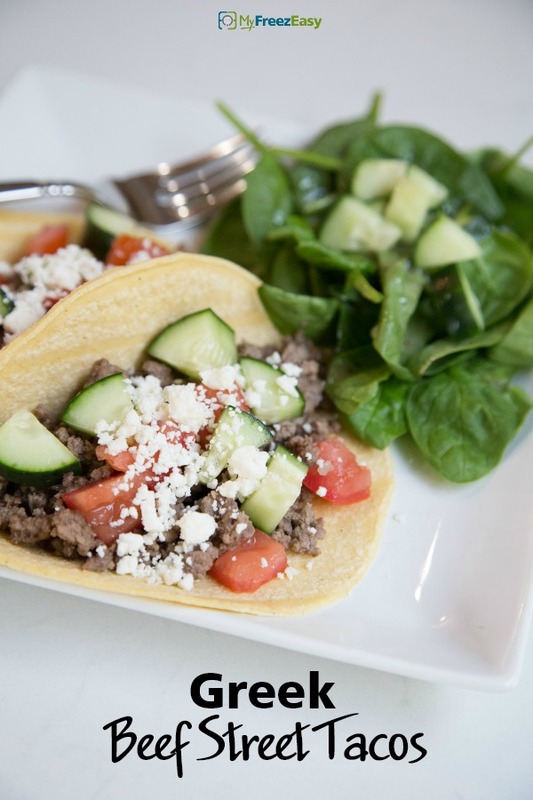 Thaw in the fridge overnight, or a warm bowl of water for about 20 minutes, before transferring to the skillet to reheat and then assemble “street tacos” with corn tortillas, and garnish of chopped tomato, cucumber and feta cheese crumbles. This meal is gluten free when you use gluten-free corn tortillas. Thaw and reheat in skillet. Then assemble “street tacos” with corn tortillas, and garnish of chopped tomato, cucumber and feta cheese crumbles.